Are you new to Pentecostalism and want to know more? Are you new to Christianity and searching for the right Church fit for you? Are you in or near San Antonio Texas and looking at Pentecostal Churches San Antonio TX? We are here to help. This article will give more insight about Pentecostalism and its role in the Christian faith, as well as some history of Pentecostalism and why it is still thriving today. In order to understand Pentecostalism, it is important to have a solid foundation of the beginnings of the Christian faith. Christianity, as we follow it today, began after Jesus ascended into Heaven. Shortly after this, a period of about ten days, was the day of Pentecost. On the day of Pentecost, the Holy Spirit descended onto the disciples and thousands Jews gathered to hear the disciples speak. You may recall the day of Pentecost as being a crux of not only the Pentecostal doctrine, but the Christian faith in general. On this day, the New Testament Church began in earnest. Filled with the Holy Spirit, thousands upon thousands heard the Truth of the Word of God that day and many gave their lives to Christ and obeyed the Apostle’s preaching and teaching as a result. From here, the believers spread out and began to form Apostolic Churches in their own cities and among their native peoples. The message of Christ spread like wildfire in the years following His ascension and Pentecost, and Apostolic Churches were established in many of the major cities across the European, Asian, and African continents. From there, the Apostolic Church continued to spread and grow into many different bodies. 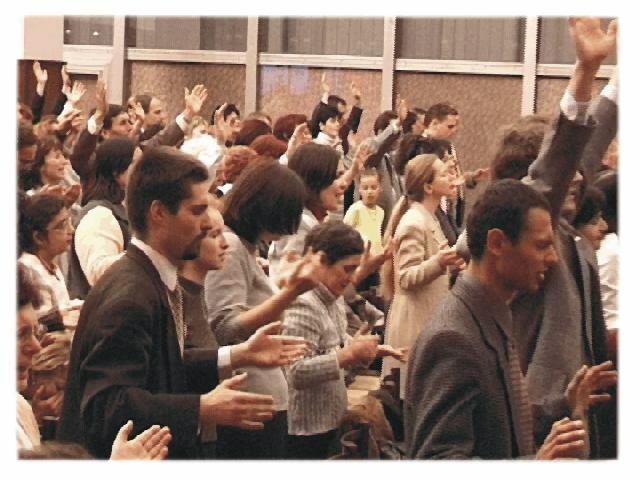 When and Why Did Pentecostalism Start? In concept, Pentecostalism was founded on the day of Pentecost, shortly after the ascension of Jesus. The word “Pentecost” roughly translates from Greek as “fiftieth day”, marking fifty days since the Passover and the Hebrew Feast of Weeks. 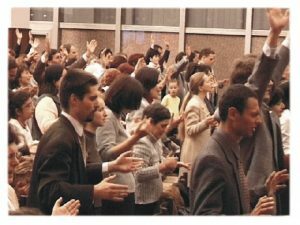 The core values and truths of what Pentecostalism entails and Pentecostals believe has been valid ever since that day when the Holy Ghost descended upon disciples. In other words, the practices and beliefs shared by Pentecostals aren’t new. Before the organization of modern Pentecostal organizations, the same practices and beliefs shared by those who might consider themselves Pentecostals existed since the very day of Pentecost. One of the largest Oneness Pentecostal groups in the Unites States of America is the United Pentecostal Church International or UPCI. When the Holy Spirit descended on the disciples and assembled followers of Christ on the day of Pentecost, they began to speak in tongues. Those gathered who had accepted the preaching of the Apostles received the Holy Spirit and as a mark of that reception, they began to speak in languages foreign to them. As Pentecostals, we believe in the power of the Holy Spirit. As Christians, many of us have undergone a physical baptism by water in the name of Jesus Christ just like believers did in the book of Acts of the Apostles. Similarly, once we accept and obey the teachings of Jesus Christ as out line in the Holy Bible and choose to follow Him, we can be baptized by the Holy Spirit as well. Recall how the Holy Spirit descended on the believers on the day of Pentecost and utilized the speaking of tongues to broadcast to the world that those affected by the Holy Spirit were not only believers but were filled by the Holy Spirit of God Himself. The speaking of tongues was a sign for the other believers and for the world that each individual had truly accepted Christ and that His spirit had in turn filled them. As Pentecostals, we believe that this connection between Christ, the Spirit, and believers is of the utmost importance. The importance of having this connection isn’t one that has always been stressed in popular Christianity. In fact, several denominations overlook the significance of a believer being filled by the Holy Ghost entirely. That is why the many Pentecostal movements were established in many Churches in the early 1900’s. Many believers and Pastors felt the presence of the Holy Spirit and knew that they were not in an environment that encouraged an individual connection with the Holy Spirit, and so they decided to create an environment where the movement of the Holy Spirit was not only welcomed but encouraged. Though young in name, Pentecostalism is a movement that stretches as far back as the New Testament Church does. The Holy Spirit is a tremendous gift from God, and we are blessed to be connected to Him so intimately. As Pentecostals, we encourage you to seek out this gift, to listen to what Jesus asks of you to do with it, and to let the Holy Spirit truly work through you. If you feel the tug of the Holy Spirit, but are unsure of how to react, then please note that the doors of Pentecostal Life Church are open to you. We encourage you to come and to seek out the answers. Don’t let the Holy Spirit’s call remained unanswered, but truly take the time to understand the gift that it is and the role that it plays in your faith journey. 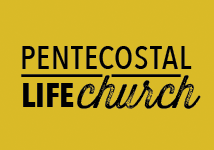 ← Looking for a Pentecostal Church San Antonio TX?